Hosszabbító készlet (ferde dugós) | Feszültségmérők | Villamos mérés | Paraméterek | Testo Kft. The cables supplied with the measuring instrument are not always the best solution. Depending on the application, a measuring cable extension is the best choice. Because you can make a direct connection between the measuring instrument and for instance a banana jack, without needing to use cumbersome crocodile clips. The same applies for example to test sockets, which are often present on boards. 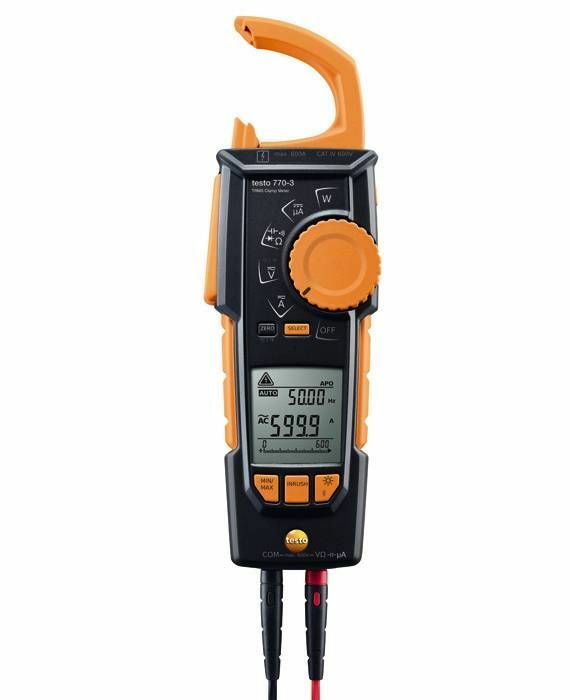 The measuring cable extension can also be used for crocodile clips, such as the Testo safety crocodile clips (0590 0008), which means there are universal application options. 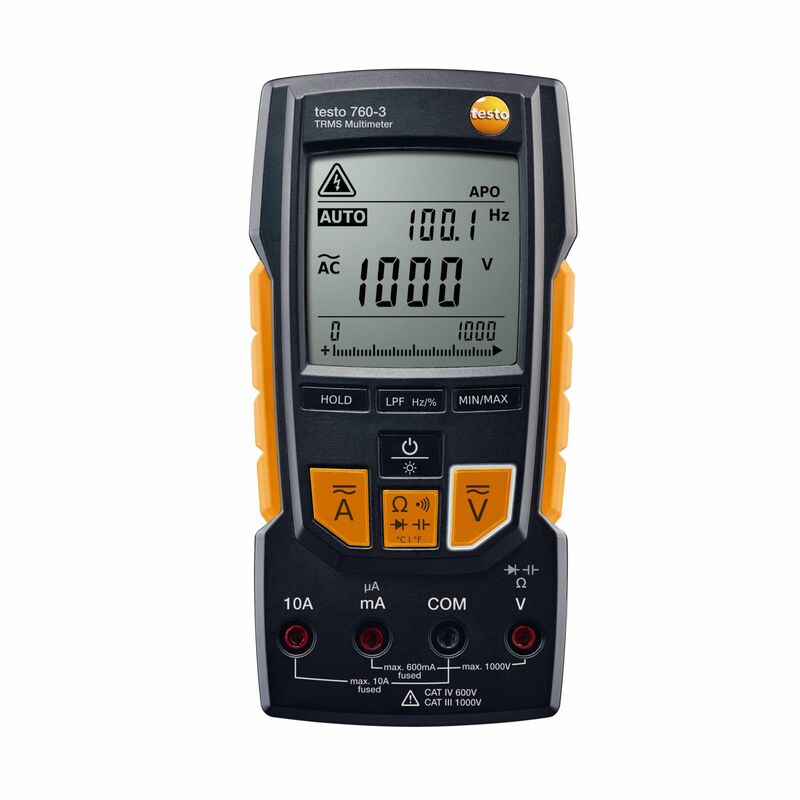 These high-quality measuring cable extensions (length 1075 mm) can be attached to Testo clamp meters, Testo multimeters or other makes of multimeter. 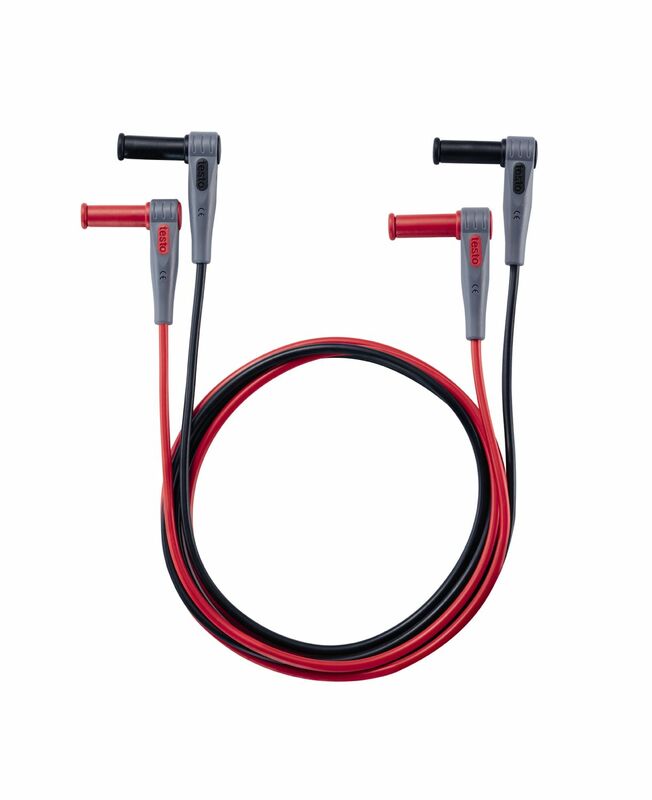 1 set of measuring cable extensions (angled plug), length: 1075 mm.